Security with paper forms is fairly straightforward: You lock them up in a filing cabinet, or in a vault with limited access. But straightforward doesn’t always mean ideal, and it’s easy to see the many security risks that the use of paper forms entails. For example, forms that should have been locked up could be left out on someone’s desk, or could fall into unauthorized hands with no trail leading back to them. The risks of paper forms are greater than they may seem at first. Yet some companies are concerned that using online forms, particularly with cloud-hosted workflow software, presents security risks. Truthfully, however, security measures with online forms can be more comprehensive and easier to document, so organizations can demonstrate compliance with company, industry, or governmental security regulations while being confident in their security. Secure Sockets Layer (SSL) security and custom encryption keys are two essential security protocols you should insist upon when choosing workflow software. Encrypting the software’s communication channels using SSL can prevent any number of attacks, and when software allows “white list validated” user input, even more nefarious uses are prevented. Make sure your workflow software uses HTTPS sessions with 128-bit encryption for all client-server interactions. Custom keys are an additional security layer. Each user session has its own custom key for each request, along with a unique response key. Each key is custom-generated and used only one time to protect against hacks known as automated load attacks. It’s only natural that anyone considering cloud-hosted workflow software is concerned about security. The provider’s servers must be protected via firewall to prevent data compromise, and they should ensure that servers are updated whenever a patch is available. Another security measure you should ask about with cloud-hosted online forms and workflow software is whether the provider uses load balancers. This rotates servers in and out of service regularly so that servers exhibiting unexpected behavior can be isolated quickly and taken out of service while the problem is diagnosed. Ask also about whether the provider’s back end servers are designed to respond only to requests from authenticated users. The creation of audit trails in your online forms and workflows can prevent major trouble later on. Certain industries, like healthcare and finance, are subject to regulations on top of those that other businesses must comply with, and the security features of your workflow software can help here, too. You should be able to design the creation of audit trails into your workflows so that you can demonstrate compliance with all regulations, and so, if irregularities do occur, tracing them to the exact step and user in a process is easy. 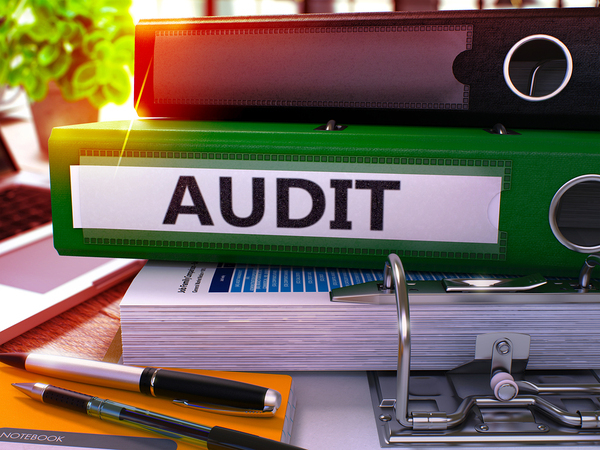 Even companies that aren’t bound by governmental regulations like HIPAA and Sarbanes-Oxley often choose to create audit trails for internal security purposes and reduction of exposure to liability. Some organizations, for whatever reasons, are unwilling or unable to use cloud-hosted software for their online forms and workflows. For example, a law firm may not want to use cloud-hosted software if cases detailed in various forms and documents are potentially worth large amounts of money. Online forms are still possible if the workflow software is installed on the premises on local servers. This allows the convenience, accuracy, and space-savings of online forms plus physical security of the servers. Not all online forms and workflow software providers offer users the choice between cloud and on-premises software. Those that do can be excellent choices, because going from on-site servers to the cloud (or vice versa) is a future option should needs change. PerfectForms offers its users the choice of cloud-hosted or on-site installation so specific security needs are met impeccably. Our cloud-hosted software features SSL encryption, white list-validated user input, and 128-bit encryption of all communication between clients and servers. PerfectForms’ web servers are firewall protected, and patches are faithfully applied whenever necessary.Roll-back mechanisms are in place, providing additional security. Finally, load balancers ensure users have continuous service, even if some servers must undergo maintenance. All these security features come with software designed for the non-technical user, with a drag-drop interface for creating electronic forms and workflows with ease. Sound promising? You can try PerfectForms for free and experience for yourself how easy it is to enjoy fast, secure online forms and workflows. See our gallery for online form templates to choose from now! This entry was posted on Friday, June 24th, 2016 at 7:46 am	and is filed under PerfectForms, Workflow. You can follow any responses to this entry through the RSS 2.0 feed.